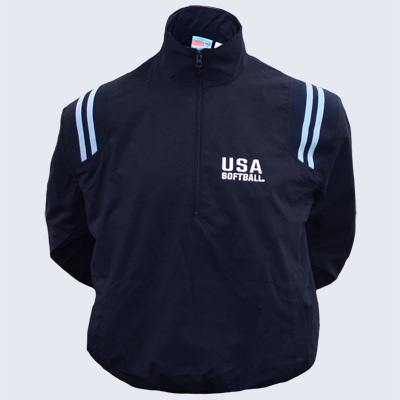 New USA Softball pullover jacket with USA Softball logo. Nylon Tricot lining, stand-up collar with elastic waistband, two slash pockets. Available in sizes Small to 5X.